The beauty of diversity It is the ethnic diversity found at NUA that makes us unique. For we follow his commandments. His world is the lamp unto our feet and a light unto or path. Education is not jus the learning of new information, its the training of the HEAD to think, HEART to love, and HAND to work. To equip students’ to use their head to think, reason, reflect and solve the problems, both moral and physical, that life serves up to us all. To engage students’ with their heart teaching them compassion, commitment, discipline and the ability to work through the joys and sorrows of life. To train students’ hands to work, embrace and reach out in support of their goals and the goals of others. A Seventh-Day Adventist Christian English language boarding High School offering and American equivalent education in preperation for college entry, Christian service to the community around us. 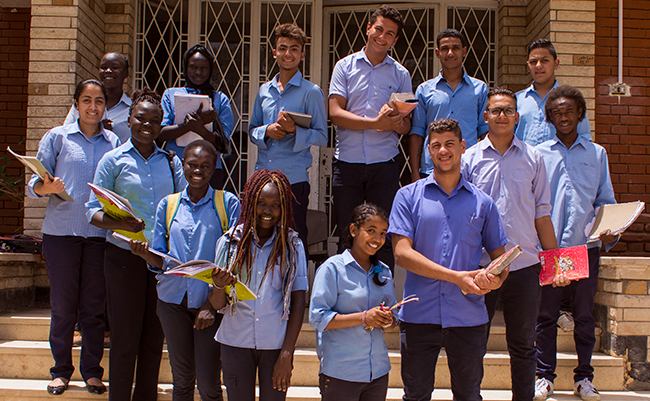 "One of the greatest Christian Education in Egypt"